Mr. Gianono’s music can be heard as the episode theme music for “The Soup” (E! Entertainment), as well as on “Chelsea Lately” (E! ), “Chip 'n Dale's Rescue Rangers”(Disney) and “Fatal Honeymoons” (E! ), etc. and feature film, “SOMEBODY MARRY ME”. 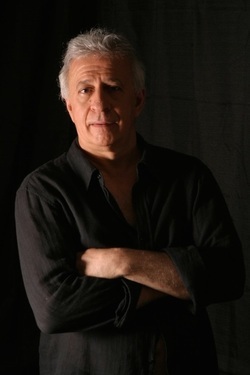 Joe is the resident composer of the White Horse Theater Company and has composed incidental music for ”The Rose Tatoo”, “Little Eyolf”, “Savannah Black & Blue”, "Small Craft Warnings", "In the Bar Of A Tokyo Hotel", “The Book Of Lambert”, “Clothes For A Summer Hotel”, “’Night Mother” and “Suddenly Last Summer”. He is also the composer of the musical adaptation of “The Hunchback Of Notre Dame”, performed at the York Theater in NYC, with lyrics by Hal Hackady and libretto by Tony Scully. As an arranger/ orchestrator for over 30 years in every venue, he has work for many of the world’s finest orchestras and artists including the Metropolitan Opera Orchestra, Paul Taylor Dance, Company, PM Dawn, Philip Bailey, Blood, Sweat & Tears, Chita Rivera, Michel Camilo, Bucky Pizzarelli and over 30 Broadway & regional musicals. Recent and up coming publications include Trois Jimnopedies for Flute and Guitar, TNT for Chorus and Piano and Elegy for solo Cello and String Orchestra published by Subito Music. He is an ASCAP and BMI member and is also published by ACM Records, Subito Music and Joe Gianono Music Publishing. Mr. Gianono has recently started his own record label that is primarily dedicated to popular music. SMALL CRAFT WARNINGS, performed by Luellen Abdoo and Elaine Chelton, has been on "EXPLORING MUSIC" hosted by Bill McGlaughlin on WQXR (105.9 FM) and it’s nationwide affiliates. Recent projects include "A TROLL IN TH PARK", a piece for Solo Violin and "Incidental Music" for the White Horse Theater Company production of the play, I CAN'T IMAGINE TOMORROW by Tennessee Williams, directed by Cyndy Marion. He is also in the process of completing a choral work titled "SPATIAL QUANTUM" for large choir, organ, 6 brass, 6, winds, 6 percussion, low strings and pre-recorded soundscape which is dedicated to the memory of the crew of the space shuttle "CHALLENGER". The upcoming publication of his “ELEGY for Solo Cello and String Orchestra” will be available from Subito Music Publishing later this year. Much of Mr. Gianono’s efforts are spent writing, producing and recording songs for his record label. All of which can be found on Cdbaby, iTunes and all other major digital music distributors. He recently returned from Nashville, where he recorded his song “SILLY GIRL” with the up and coming vocalist, Brandon Maddox and the Reba McEntire band. One of his favorite project’s is a Christmas song called S.A.N.T.A. Dot Com, a song for kids, young and old, who still believe in Santa Claus in this new computer era. The lyrics were written by renowned lyricist, Hal Hackady. S.A.N.T.A. Dot Com was recorded by Kara Oates, 13 year old star of Broadway’s Mary Poppins and Billy Elliot. It was also recorded in London by Laurence Kilsby, called “the finest boy soprano in the UK” by the BBC. There is also a duet version with both Kara and Laurence. At the moment Mr. Gianono is in the process of completing the recording of “I LIKE GREEN”, an environmental song about being “green” in urban areas, like NYC. BTW- by the time he got to Woodstock, Joe was a respectable Rock n’ Roll guitar player. Thank you for visiting, contact Joe directly to learn more about his work. ​Joe conducted and orchestrated Steve Sandberg's opening sequence for Nickelodeon's Dora, The Explorer Special Episode: "Dora Saves The Snow Princess"
Spatial Quantum - a choral work for large choir, organ, brass, winds, percussion, low strings. Dedicated to the memory of the crew of the space shuttle Challenger. SILLY GIRL - recently recorded in Nashville with the up and coming vocalist, Brandon Maddox and the Reba McEntire band. OFF BROADWAY - Joe composed incidental music for the off-broadway productions of Suddenly Last Summer, Small Craft Warnings, In The Bar Of A Tokyo Hotel, Clothes For A Summer Hotel and The Rose Tatoo by Tennessee Williams, The Book Of Lambert by Leslie Lee and Henrick Ibsen's Little Eyolf. I LIKE GREEN is an environmental song about being 'green' in urban areas like New York City. A favorite project is a new Christmas song called S.A.N.T.A. Dot Com. It's a for kids, young and old, who still believe in Santa Claus in this computer era. The lyrics were written by renowned lyricist, Hal Hackady. S.A.N.T.A. Dot Com was recorded by Kara Oates, 13-year old star of Broadway’s Mary Poppins and Billy Elliot. It was also recorded in London by Laurence Kilsby, called “the finest boy soprano in the UK” by the BBC. There is also a duet version with both Kara and Laurence.